A mystical excursion to the four corners of the earth awaits you in this enchanting Florida Bed and Breakfast. 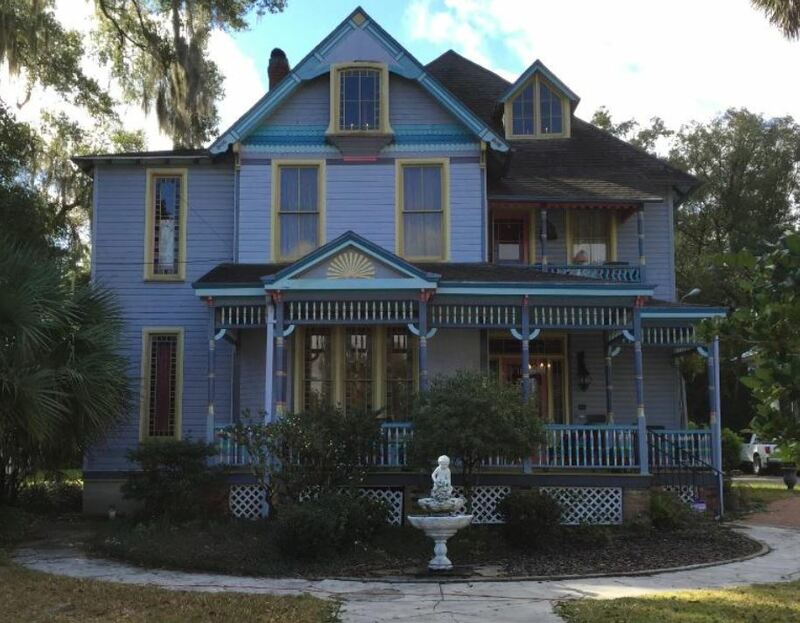 Seven Sisters Inn, is a historical Ocala Bed and Breakfast nestled in its rolling southern streets. The Circa 1890 Gothic Victorian inn combines exquisite artifacts from exotic international ports with era appointed antiques. As one of our former guests so eloquently described this Floridian enchantress ... "The feel is like late 19th Century Beaux Arts, something that Henry Plant, the railroad who built the Mineret festooned fantasy palace in Tampa, might have built." The serenity of rolling hills, horse farms and natural springs are abundant in this quaint city not far from all the busy Tampa or Orlando inns and hotels. As the only centrally located Ocala, Florida Bed and Breakfast, it is a short stroll from by its historic downtown's vibrant shops, restaurants, pubs, theaters and galleries. Just a short drive to common Floridian stops, such as Orlando, Tampa, Saint Augustine and Gainesville, the inn is in the heart of Central Florida.